The U.S. Food and Drug Administration announced that January 1, 2018 will be the uniform compliance date for food labeling regulations that are issued in calendar years 2015 and 2016. 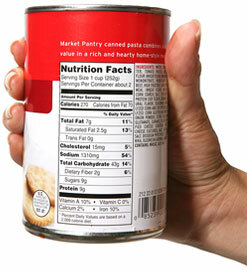 Food industries can plan for the use of new labeling materials. The new label will include Potassium and Vitamin D.
One of the areas of greatest concern to the food manufacturer about the Nutritional Labeling and Education Act (NLEA) has been the placement of the vast quantity of information on the food label. 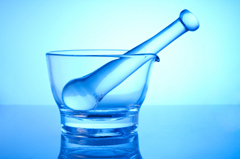 The Food and Drug Administration (FDA) has defined and provided for the proper use of nutrient content claims. This encourages the use of truthful statements, while discouraging misleading information about dietary information. Certified Laboratories has the expertise to provide you with all of the information required for accurate label claims and nutritional information. Fat. AOAC method 922.06 is the general method. Use of specialized modifications or different types of extractions apply to certain other categories of foods. Protein. AOAC method 920.87 (factor to convert % nitrogen to % protein may vary from product to product). Moisture. Typical methods are AOAC method 925.09 and 925.10. Drying times and temperatures, the use of vacuum and other conditions will vary for different sample classes. Total Carbohydrates. Calculation of total carbohydrates as the difference between 100% less % moisture, less % protein, less % ash, and less % fat. Total Dietary Fiber. AOAC method 991.43 (enzymatic-gravimetric method). Sugars Profile. AOAC method 996.04 (Ion chromatographic method). Vitamin A. AOAC method 200.13 for retinol, AOAC 938.04 with hplc for carotene. Sodium, Calcium, Iron (+Potassium, when Requested). Nitric Acid disgestion, followed by Atomic Absorption Spectrophotometry. Appropriate, alternative, official methods may be used if they are specific to the sample type. The time and cost associated with analytical determinations for compliance with the Nutritional Labeling and Education Act (NLEA) dictate that composites rather than individual samples be utilized. Composites are formed from 12 containers randomly selected from the lot(s) being evaluated. Compositing the contents of the 12 sample units, mixing uniformly and analyzing a portion of them yields a result equivalent to what would be obtained if each sample were analyzed individually and the results averaged. It is important to realize that analyses of different composites from the same lot or samples from different lots would yield different values. This is true since the containers making up the composite vary as to their nutrient levels. In addition, there is normal batch-to- batch variation based on differences in raw materials, slight differences in processing technique and/or “scaling”. It is important to recognize that the samples being analyzed must be representative of merchandise that will be labeled with the results of this analysis. If current production is not representative of future production, or if samples in the warehouse are not representative of current production, it would be inappropriate to use current batches for sampling for compliance with NLEA. Also realize that formula changes are nutrient changes. The quantity, quality and sources of ingredients you use to make your product are what contributes to its nutritional composition. Concern must also be given to different crops from different geographic regions and different growing seasons. It is the recognition of these differences and of the changes that have taken place and will take place that must go into devising a scientifically and statistically sound sampling plan. Once these variables are understood, a sampling plan should be designed to “average out” existing as well as potential future differences. It is possible, based on the degree of change that may occur, that there is no way to “average them out”, and additional or new nutritional analyses would have to be performed as needed. In order to “average out” these differences we request that 12 different containers be sampled from as many separate lots and/or production dates as possible (minimum 3). If it is not practical to select your 12 samples from 3 or more different lots or production dates, please call Certified Laboratories, Inc. for advice. From an analytical point of view, we require only 500 grams (approximately 1 lb.) to perform all the analyses. The following instructions are based on packaging and type of product you manufacture. They assure that the sample ultimately sent to us represents your product. We have found that United Parcel Service (UPS) is the most cost effective and reliable system for having samples delivered from your facility to our laboratory. In the case of non-perishable product, simple packaging designed to protect the physical integrity of the product is sufficient, and shipping by regular ground is appropriate. We have found that by using this system, we get the samples within three days of shipment. In the case of perishable product it is necessary to pack in an insulated case with sufficient refrigerant to keep the product cool overnight, and to ship next day air. It is best if the product is shipped some time Monday thru Thursday since we have only a skeleton staff here on Saturday to accept samples. For products in retail packages weighing between 2 and 8 ounces: Select 12 retail units from the aforementioned 3 separate lots and mark each unit with the appropriate lot number. Fill out one transmittal form for each product type and ship to Certified Laboratories, Inc.
For retail packages weighing less than 2 ounces: It is important that each of the 12 units sent to us has a total weight of at least 2 ounces. Therefore, select the number of packages required to yield a total weight of approximately 2 ounces (56 grams), rubberband them together and mark with the appropriate lot number. Count this as one unit. Repeat that step until you have a total of 12 analytical units each one labeled with the appropriate lot number. Fill out the enclosed transmittal form for each product, package and ship to Certified Laboratories, Inc.
For retail packages weighing more than 8 ounces: In order to minimize shipping and handling it is appropriate to subsample larger size packages. Utilizing the CAG sampling bag, open each package and place approximately 2-4 ounces (50-100 grams) in each sample bag. Note the name of the product and the batch number on it. Repeat this process until you have 12 sampling units from 3 or more production dates or lots. Package appropriately, fill out a separate transmittal form and send to Certified Laboratories, Inc.
Transmittal Form: Enclosed with these instructions is a Transmittal Form master filled out with your company’s name and address, etc. Make as many copies as you need, fill in any missing information and make sure that a separate transmittal form is used for each product. It is important that you describe the sample and note the lot or batch numbers. In addition, include either a copy of the product label or a complete ingredient statement listing. If appropriate, we need to know the drained weight of your product, the number of units per package (e.g., cookies) and the different retail package sizes for this product. Any additional helpful information that you can provide about the product would be appreciated.